Fever Ray in Montreal or Quebec City? Inform me about the next events for Fever Ray. Enroll yourself to our priority waiting list for Fever Ray to be alerted when new tickets are available. Filling this form doesn't engage you to any purchase. Fever Ray is coming to Montreal and will be performing at the MTELUS (formerly Metropolis) on May 16th, 2018. The ex-The Knife member will be embarking on her first North American Tour in 8 years. 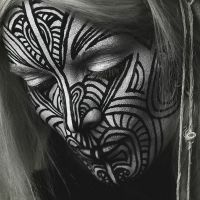 Fever Ray will be performing songs from her latest album Plunge, released in 2017. Don't miss Fever Ray in Montreal this spring !